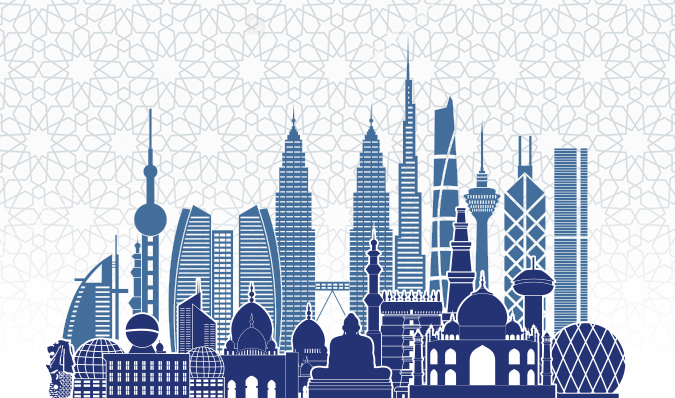 Global Islamic funds are forecast to grow to at least USD77 billion by 2019 and the industry is already hitting its USD60 billion mark, according to a report released by Thomson Reuters on Global Islamic Asset Management Outlook in 2015. With substantial growth opportunities, the market continues to see its silver lining, in addition to the rising number of high-net-worth individuals (HNWIs) in the Asia Pacific region – with private wealth having risen by 13% to USD37 trillion in 2014. Malaysia has always played an important innovative role in Islamic financial services, boasting a comprehensive regulatory framework for Islamic banking, finance, takaful and asset management. As an extension and in support to this, Labuan International Business and Financial Centre (Labuan IBFC), has evolved into a test bed for Islamic financial products innovation. A case in point would be the introduction of waqf in a private foundation through the Labuan International Waqf Foundation (LIWF) in 2015. As an Islamic private foundation governed by the Labuan Foundations Act 2010, which holds and manages properties for identified beneficiaries based on the Shariah principles on waqf. It is a concept in wealth preservation and management using internationally-recognised foundation laws, thus making Labuan IBFC the first jurisdiction to merge these concepts successfully. The concept offers the founder (waqif), legal certainty by allowing proper control and management of the waqf in accordance with his wishes. LIWF also offers flexibility and exclusive control to the founder over the way a private foundation can be structured, managed, distributed and preserved. LIWF is unique as it adheres to its specific objective of preserving a waqf property where it cannot be sold, mortgaged, given away as a gift or inherited. Only the income or usufruct will be distributed to the beneficiaries. However, if there is no longer a beneficiary, the benefits of waqf will be distributed to charitable purpose as agreed by the Shariah adviser of the waqf foundation. It also recognises and honours the conditions of the founder in accordance with the Shariah principles on waqf. The endowment of property under LIWF must be executed by way of waqf as defined by Shariah principles by indicating the intention of the establishment of waqf in the charter (Waqfiyyah). The endowed property will then be legally and beneficially owned by the waqf foundation. LIWF will act as the trustee (nazir or mutawalli) of the waqf. The charter of the LIWF will form the basis to regulate and administer the LIWF in accordance with the Shariah principles on waqf. Governing law can be either Malaysian law or foreign law. The key management will consist of a Shariah adviser, a supervisory person, an appointed Council, officer and secretary. The management of the waqf foundation, its assets and distribution of income to the identified beneficiaries have to comply with the Shariah principles on waqf. To ensure a strong and effective governances and management framework for LIWF, persons involved in the management or operations should be with sufficient level of competency, integrity and credibility. The roles and responsibilities of the parties must be clearly defined and understood to ensure efficiency and accountability. More importantly, the waqf foundation must act in good faith, with prudence and highest standard of care and loyalty and in the best interest of the founder and beneficiaries. It is also essential to have a clearly defined succession procedure. ​​Income generated from the utilisation of the money is spent on the beneficiaries while the principal amount is retained. For shares and sukuk, the income earned by the shares or sukuk are spent on the beneficiaries. Other properties accepted by Shariah for waqf. The integration of the concept of waqf with private foundations enhances the potential of waqf to play a more prominent role in family wealth preservation and succession. LIWF has a built-in dimension of preserving the waqf property by protecting it from being sold, given away as a gift or inherited. This safeguards the said waqf property from fragmentation after the death of the founder. It also ensures the waqf will continuously benefit the next generation of the beneficiaries. It is also worth noting that Islamic inheritance law does not apply in LIWF except in situations where the founder is listed as one of the beneficiaries in the LIWF and only relevant on the portion of the waqf income that the founder is entitled to. A joint waqf can also be established where a stipulation of percentage of the waqf income shared between the family members and the specified beneficiaries for charitable purposes is made. In addition to serving the religious and family objectives of the founder, establishing a waqf via LIWF also contributes to the socio-economic well-being of the society. In summation, LIWF is a highly effective Shariah-compliant solution for wealth preservation, estate management and dynamic succession. With the advances of the Islamic ecosystem and infrastructure that Labuan IBFC and Malaysia can offer, the midshore jurisdiction is now fully able to fulfil the unique needs of the global Muslim HNWIs and families, looking to share the benefit of their wealth while ensuring effective wealth management and business secession strategies are in place.